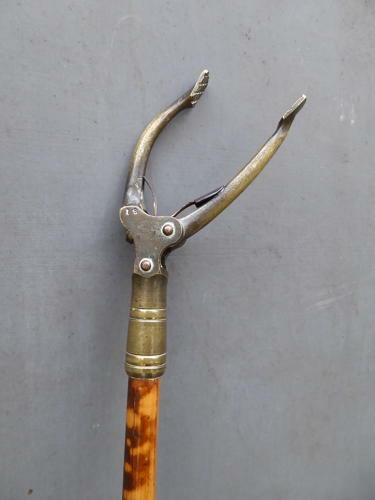 A wonderful regency period long reach bamboo & brass book pick / grab. A fabulous example used to reach books on the upper shelves of a library, beautifully engineered, tactile & not something which hows up very often! ​Wear commensurate with age, unrestored, good working order with one non original fixing in the handle which does not detract. UK courier service available at £34 tracked & signed for 48 hour delivery.